Fortnite's various battle star treasure hunts are easily some of the most frustrating weekly challenges -- especially since the hand drawn "maps" don't always paint a clear picture of where to go if you aren't intimately familiar with the game's landscape. 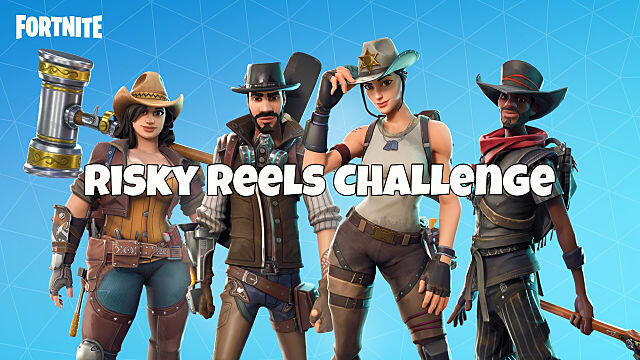 Now that Fortnite Season 5 is here, we've got another battle star treasure hunt under way, although this one is a good deal easier than normal (despite still being listed as a "hard" level challenge). Let's get started with the treasure map Risky Reels challenge! Want to skip the entire map-finding section of the Risky Reels treasure hunt and just go straight to the battle star location instead? The treasure is located south of Tomato Town, on top of the north side of the tunnel. Just walk up to the center area above the tunnel (beneath the outcroppings but above the actual tunnel itself) and when you get close enough, the battle star will spawn. 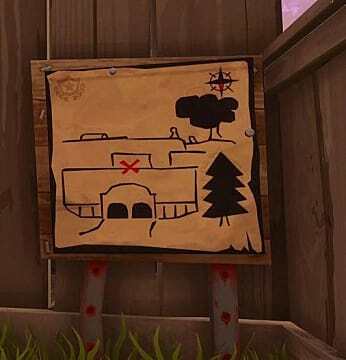 If you aren't one of those Cheaty McCheatersons who skip the actual map portion of the treasure hunt, hop off the battle bus and land at Risky Reels to find the map propped up against the edge of a wood building. For those who spend any time in the northeastern quadrant of the Fortnite map, this one should be really obvious as the tunnel south of Tomato Town, since there aren't a ton of tunnels next to trees in the game. The only question is which side of the tunnel to land on, as both sides look nearly identical. Landing at the correct side is critical, because getting to the top of the other side is a major pain if you don't have a bunch of resources for building your own staircase and bridge. 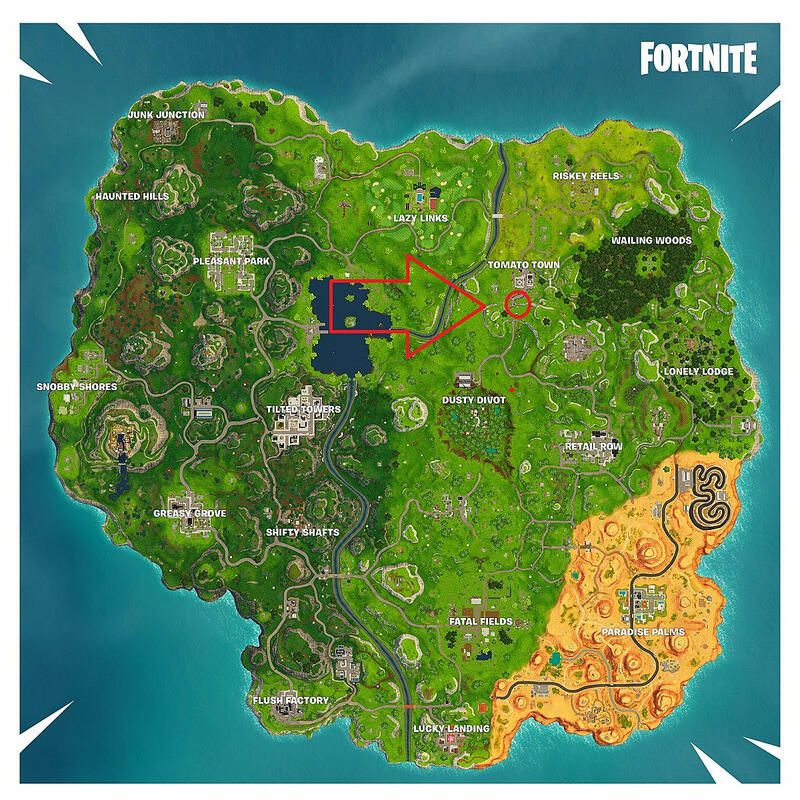 If you are landing directly there, launch your parachute before hitting the south end of the tunnel, then glide forward and turn around so you can drop directly onto the battle star spawn point shown in the image below. If you miss the north end of the tunnel while gliding or are running to Tomato Town from the Risky Reels treasure map location, the easiest way to reach the treasure is just to build a staircase up on the north side in front of the tunnel. 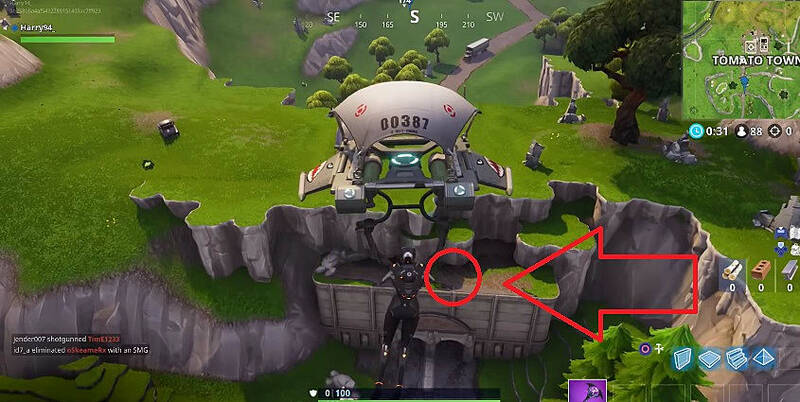 Running all the way around the cliffs to jump down above the other side of the tunnel takes way more time than its worth, especially if anyone is straying north from Dusty Divot looking for an easy kill after looting all the chests there. That may not be as much of an issue as in other weekly challenges, however. This is a challenge that would be good to jump on early, as most players are now landing at the newly added Lazy Links or Paradise Palms locations, leaving Tomato Town a desolate wasteland free of deadly players for a few days! Be sure to take advantage of the lack of foot traffic to gear up, grab the battle star, and lie in wait for other unsuspecting players as the storm shrinks. Did you figure out the location based on the map image or just jump straight to the treasure? Sound off and let us know what you think of the Season 5 changes so far in the comments below! Where Are The Lightning Bolts In Fortnite? Battle Royale Breakdown: Fortnite, PUBG, Blackout, Apex Legends — Which One Should You Play?